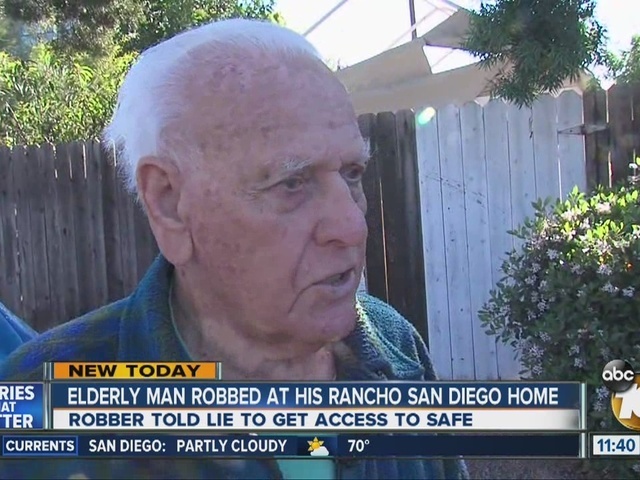 A 91-year-old Rancho San Diego man says he was robbed by two men he thought he could trust. 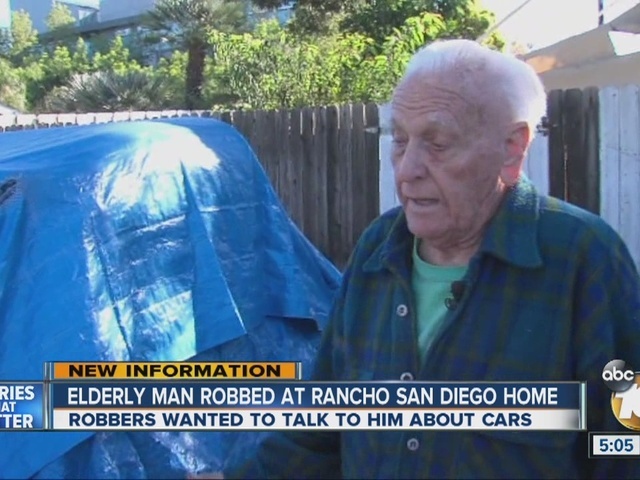 Joe said two men knocked on his door and wanted to talk to him about cars, specifically the classic cars in his front yard. He said while he was talking, someone must have walked in through his front door without him realizing it. Minutes later, the men finished their conversation and drove off. When Joe walked inside his home, it took just minutes to realize the safe in his closet and everything in it was gone. "Money, coins, stocks, pink slips," Joe said. "You're talking 50, 60 years of putting aside and doing this, doing that, it's all gone." Joe said he filed a report with the sheriff's department, and since his daughter posted about his predicament on Facebook, he's actually gotten a few leads.